The Audi-based FitCar PPV is a Car That Helps You Get Fit Every Time You Drive It! Have people made you feel guilty about taking your car to the nearby grocery store? Here’s a slap to their face known as the FitCar PPV. A Saudi-based inventor, Nasser Al Shawaf, and Dutch engineering partner, BPO, have created the world’s first calorie-burning car, the FitCar PPV. The FitCar is a genuine pedal-powered vehicle wherein you find a pedal mechanism instead of an accelerator pedal. Audi is dusting off the Ultrasport name and bringing it back one last time to coincide with the end of manual-transmission versions of the A4. 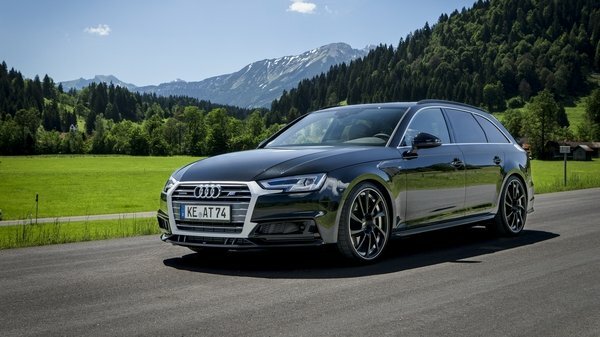 The famous designation will return as part of the Audi A4 Ultrasport, a limited run of 40 units that will include three pedals, a stick, and a lot of extra goodies. 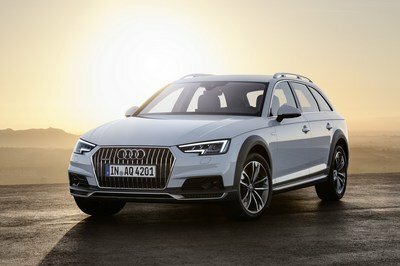 No timetable has been given, but all 40 units of the A4 Ultrasport will be sold exclusively in the U.S. It doesn’t get much more “Volvo” than that old standby body style we all know and love. I’m of course talking about the station wagon, a favorite for both families and modern automotive journalists. 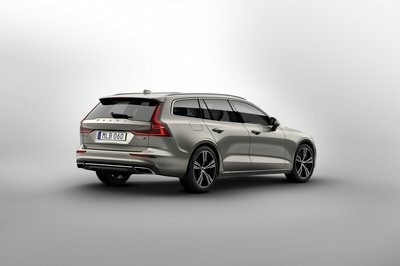 The Swedish brand is certainly well-versed in this space, as is evident by the release of its latest wagon, the new mid-size V60. Officially breaking cover at the 2018 Geneva Motor Show, stateside buyers will be happy to know that this gorgeous piece of extended roof goodness is indeed arriving on these shores to meet all your grocery-getting needs. But how does it compare against the competition? 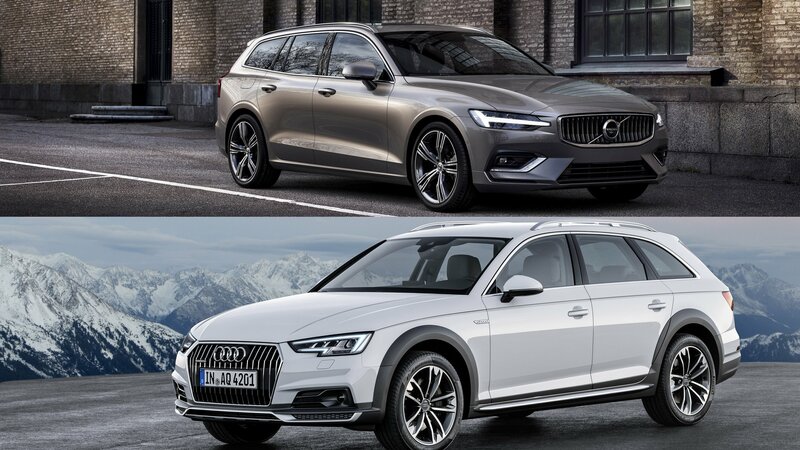 To find out,we lined it up against another luxury wagon, namely the Audi A4 Allroad, and gave ’em both a thorough visual shakedown, diving into the aesthetics, the equipment, and what’s going on under the hood. 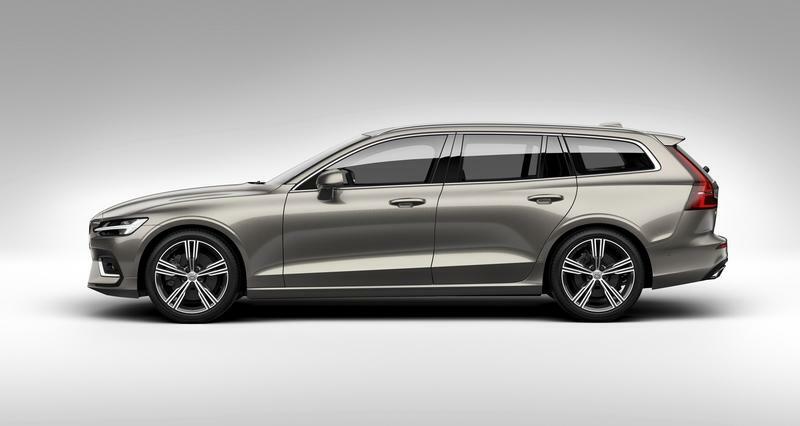 Let’s kick things off with the performance side of the equation for both these wagons, starting with the new Volvo V60. Taking cues from its larger sibling, the V90, the V60 adopts the same engine lineup. These include three gas-powered units, three diesels (which are only offered in Europe, byt the way), and even a couple of hybrids. Each utilizes a 2.0-liter four-cylinder for the go-juice burning, with the base model T4 producing 190 horsepower. Above that is the 254-horse T5, followed by the range-topping twin-charged (supercharged and turbocharged) T6, which makes 360 horsepower. The diesels can be had in 150-horsepower, 190-horsepower, and 235-horsepower configurations, while the hybrids make upwards of 390 horsepower, plus the option for a mid-grade 340-horse configuration. An eight-speed automatic handles the cog swaps, sending power either to the front or all four corners, depending on the model picked. Moving on to the Audi, things get a different focus. For starters, quattro AWD is standard, which means this thing has more grip right off the bat. The engine lineup is limited to a single turbo 2.0-liter four-cylinder making 252 horsepower and 273 pound-feet of torque. 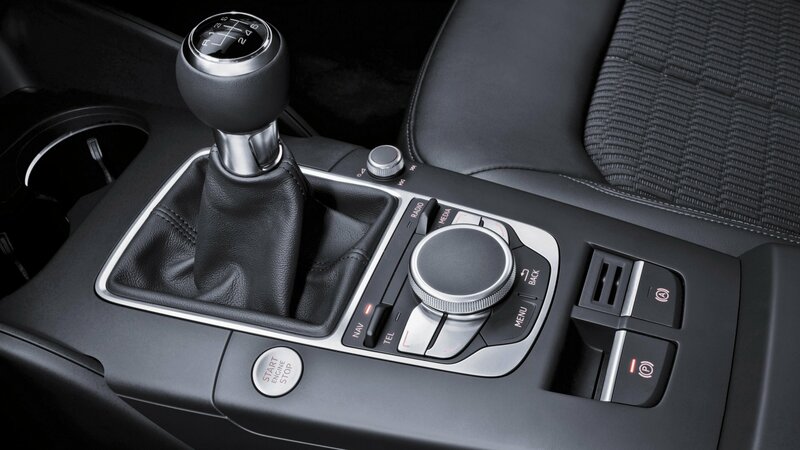 Routed through a seven-speed automatic transmission, it’s enough to propel the Audi to 60 mph in 5.9 seconds. If you live overseas, you can also get yours with a variety of diesel options, which range between 218 horsepower and 272 horsepower. On the surface, then, the Audi is slower, but that’s only half the story. 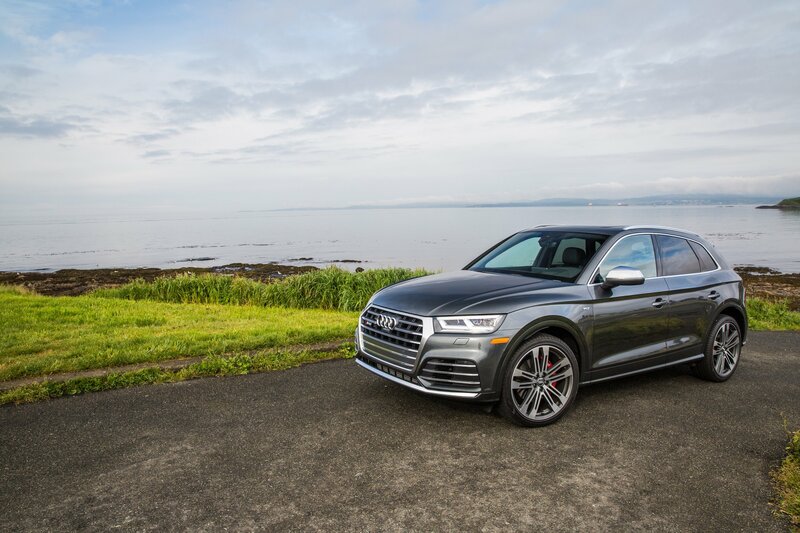 Thanks to its impressive quattro AWD system, taller suspension, and rugged set-up, the Audi is also the preferred choice when tackling less-than-ideal conditions. The Volvo might be quicker, but it’s lower suspension and optional AWD put it at a disadvantage if you’re heading off the beaten path looking for that trail head. 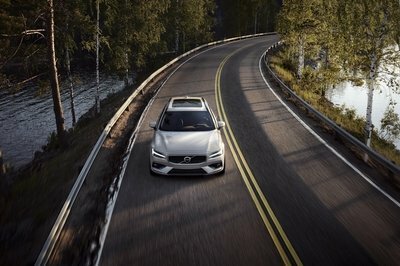 On the other hand, the Volvo offers more power and fun, as well as potentially greater efficiency thanks to that hybrid set-up. It really just depends on what you want. Now let’s check out how these two rides look. The Volvo is a truly striking piece of design, adopting the Swedish brand’s latest language. Right off the bat, it looks like the V60 adopts a lot of what we originally saw in the latest V90, and we’re liking what we see. The stance is low and wide, with vertical slats used for the central grille intake. 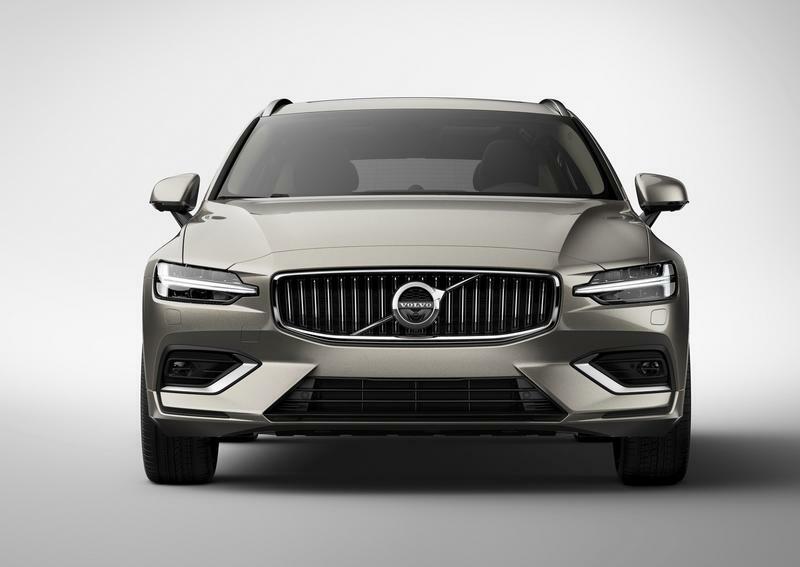 The headlights also utilize something Volvo is calling “Thor’s Hammer,” with T-shaped LED daytime running lights that stretch across the center section of the housings. Lower aero fins house the fog lights in the corners and the bottom intake. Side-by-side, the Audi A4 Allroad actually looks somewhat similar to the Volvo, at least from the front. The Germans use a simple, rounded design, rocking loads of polished metal. 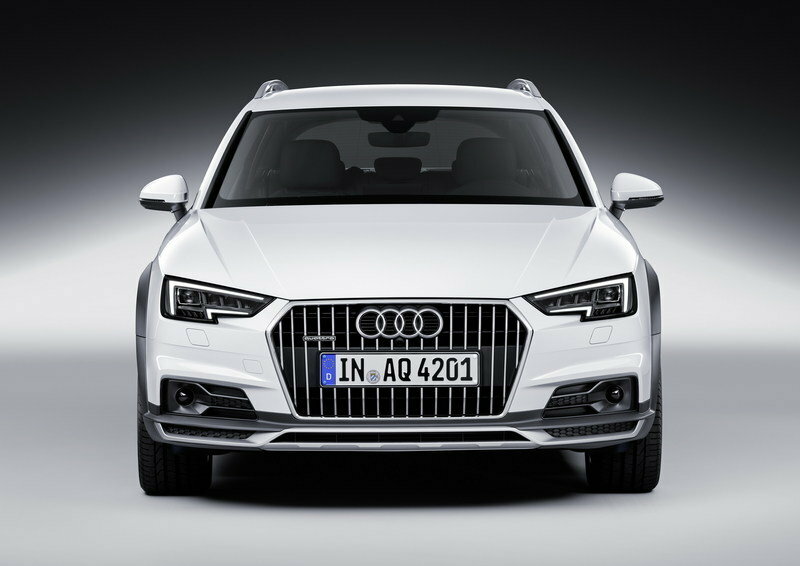 The Audi also comes with headlights that get L-shaped LED daytime running lights and vertical slats in the grille. 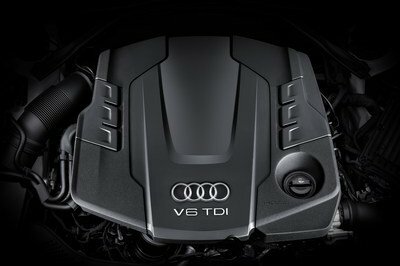 The Audi, however, gets a larger opening compared to the Volvo, encompassing both the upper and lower portions into a single feature. Small fog lights are in the corners, framed by flat-black surrounds. There’s also a skid plate along the lower section of the bumper to enhance the wagon’s off-road worthiness. Moving around to the sides, we find the Volvo’s roof line is long and straight, falling back into the hatch at an abrupt angle. The window line lends the vehicle a forward-leaning rake, narrowing towards the rear end, while pumped up fenders and character lines enhance the look. Indents in the doors give it a bit more visual beef around the fenders, while the ride height is low, crouched over the large alloy wheels and relatively thin tires. More polished trim is used for the window surrounds. 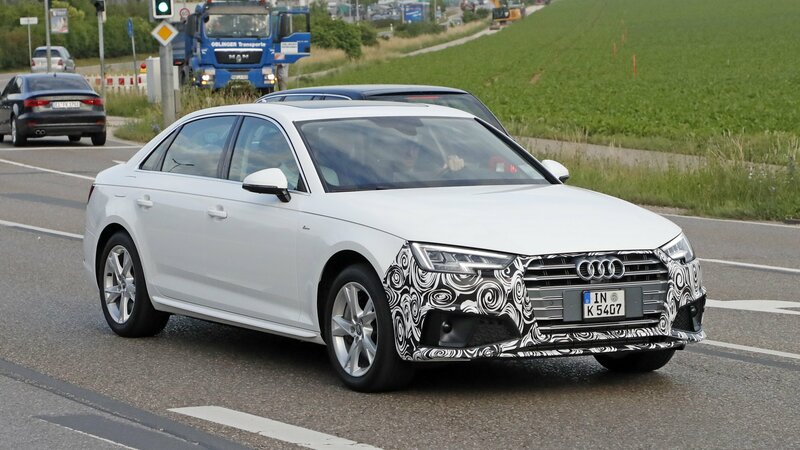 By contrast, the Audi is much taller, rising above the terrain with an extra 1.3 inches of ground clearance when compared to the standard Audi A4 Avant. Standard spec throws in 18-inch wheels, which come wrapped in grippy Pirelli tires. The fenders and side runners are covered in a matte-black plastic that’s design to ward away bits of the landscape that get flung up while on the move, while tall roof rails enhance the wagon’s practicality. 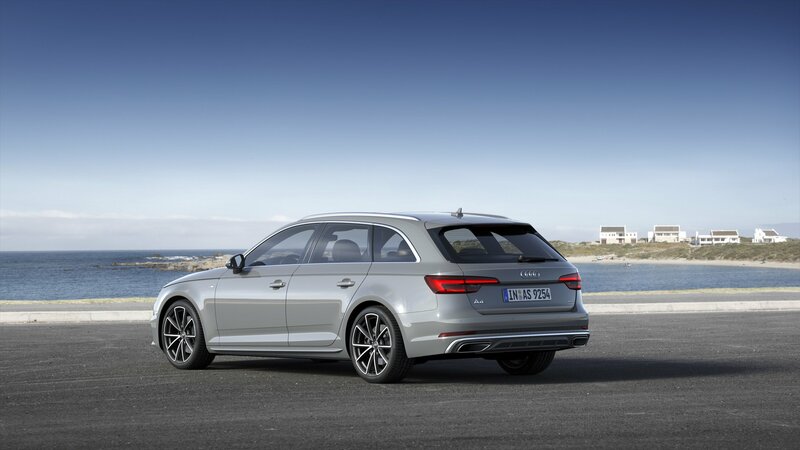 Polished “quattro” badges declare the wagon’s extra grip. Finally, let’s take a look at the rear of these wagons. 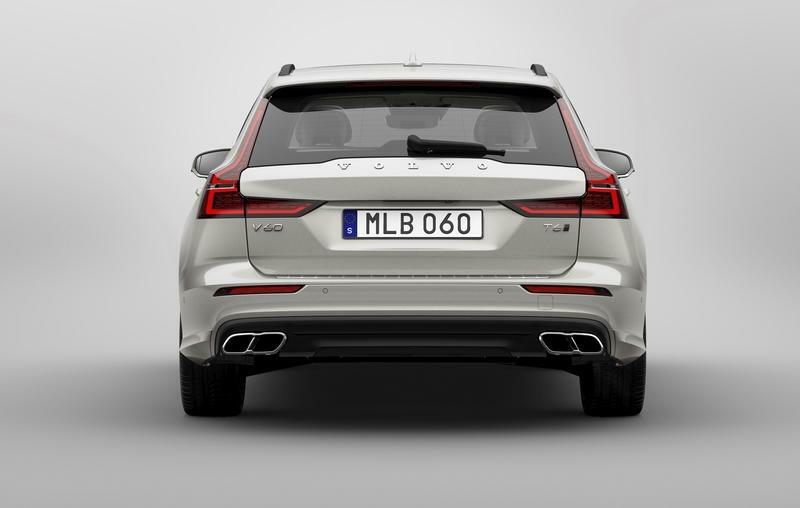 The Volvo gets a traditionally Volvo-esque design for the taillights, with L-shaped housings that stretch upwards towards the roof, adding to the car’s sense of tallness. However, this modernized vehicle does away with the frumpiness of older Volvos, and it brings the look into the modern era and makes it look good in the process. The hatch is wide and practical, with the taillight housings divided to make loading and unloading that much easier. Offsetting the tall taillights are horizontal layouts for the lower bumper trim and dual trapezoidal exhaust tips. A trailing edge roof spoiler completes it. The Audi once again brings a skid plate feature along the bumper’s lowest edge, with aero slats added for good measure. The exhaust consists of a twin polished pipes pushed to one side, while the taillights are horizontal. The hatch looks equally as accommodating as that of the Volvo, but the roof spoiler is much more subtle. 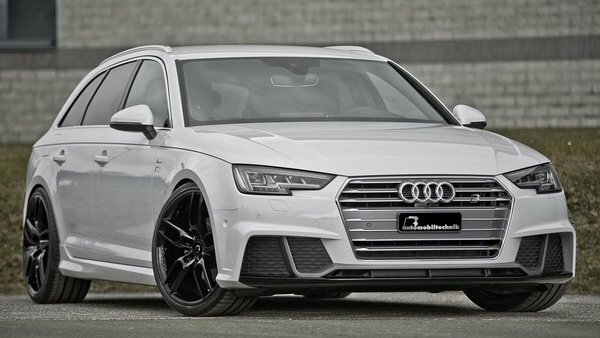 The rear angle also reveals Audi’s pumped-up ride height with a whole lot of clarity. 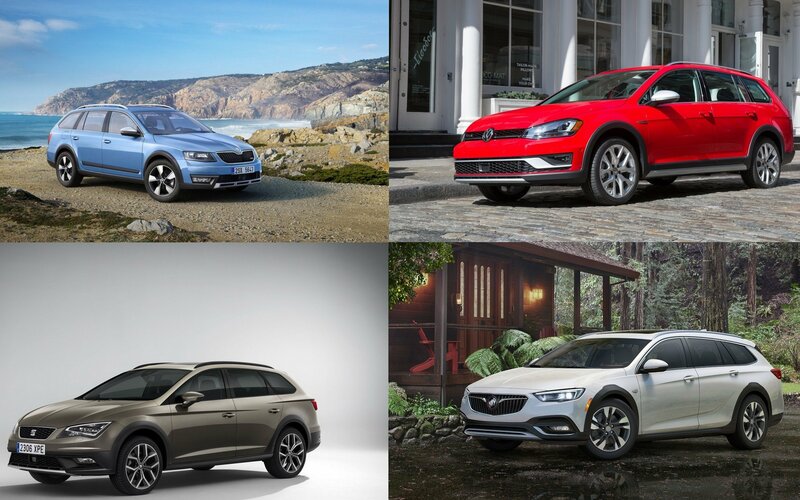 When you break it down, these two vehicles are designed to tackle rather different lifestyles. The Volvo, is sleek and refined, the perfect pavement cruiser with lots of power (if desired) and a road presence that is undeniable. It feels elegant and stylish, and it’s got all the right features to make you the envy of the other soccer moms in the drop-off line. Then there’s the Audi, which is far more rugged and versatile. The tall ride height and tough underbody cladding frame it as a solid alternative to the traditional crossover, and the standard AWD underlines that facet. It’s not quite as elegant and stylish as the Volvo, but it certainly has its own charm as well. 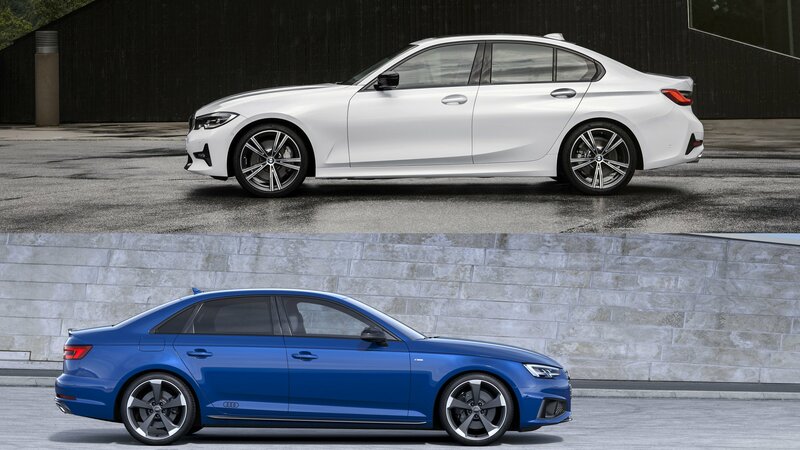 To sum up, then – the Volvo is great for the pavement, the Audi is great for everything else. 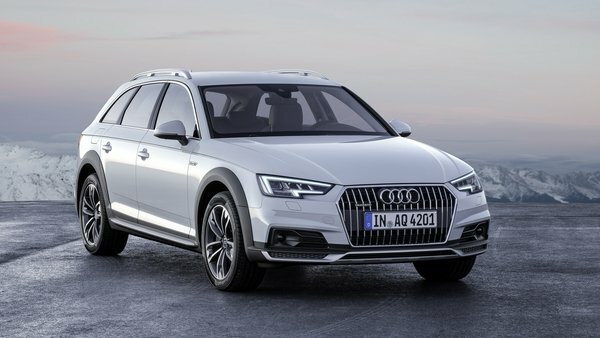 Read our full review on the 2018 Audi A4 Allroad. 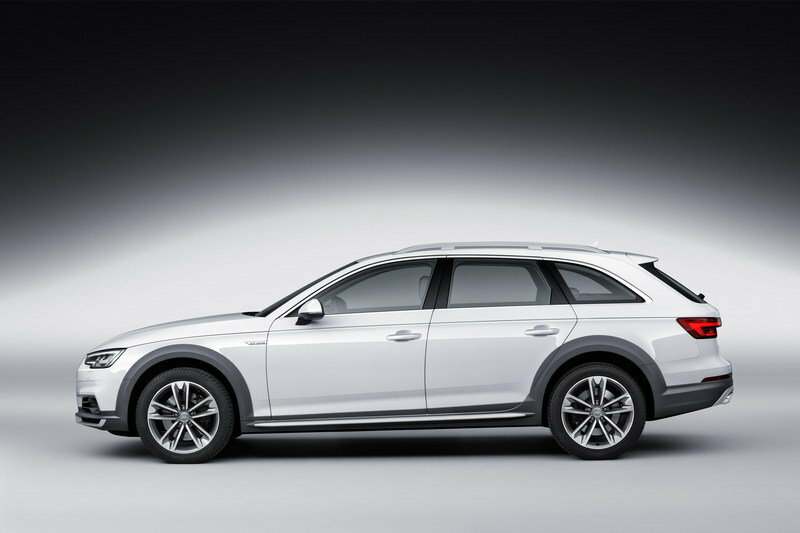 Audi likes to believe it is changing the world for the better, and it has now announced the latest development in its Audi Connect Prime services. This newest feature, which is being offered in conjunction with Traffic Technology Services, is called Traffic Light Information, and will apparently allow equipped Audi models to connect with the traffic light infrastructure in certain cities. 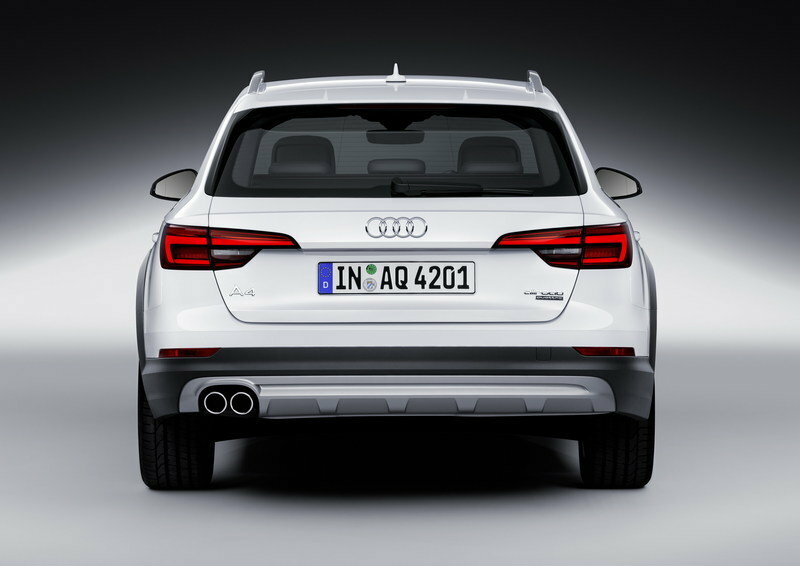 The 2017 Audi Q7, Audi A4, and A4 Allroad will be the first models to get this new technology. To put things simply, this technology will allow the car to receive real-time signal information from advanced traffic management systems across the United States. The link is created via the on-board LTE data connection and Traffic Technology Services’ company servers. For now, this feature will allow equipped vehicles to display the amount of time left before a traffic signal changes from red to green. It will be displayed in the driver information center and on the heads-up display if equipped. 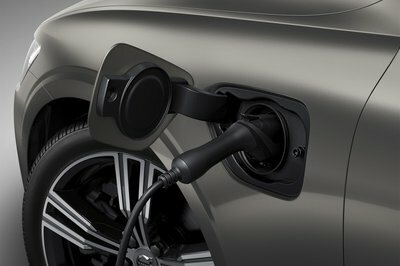 The city side of these services are set to roll out in fall of 2016 in select “smart cities” and metropolitan areas and new areas will be added “through 2017 and beyond.” Q7, A4, and A4 Allroad models built after June 1st will have the feature available when equipped with Audi Connect Prime services. There was a time when the quality of car sound systems just flat-out sucked. You couldn’t get any bass, while treble was scratchy at best. Because of this, the aftermarket car audio market grew tenfold, and manufacturers finally took the hint. Now, new cars come standard with decent audio systems and offer even better systems as optional equipment. One of the best “stock” systems going right now is the 19-speaker, 3D audio system from Bang and Olufsen that is available in new Audi A4. With that said, it’s no surprise that Audi has its finger in the developing the first real 3D song, right? 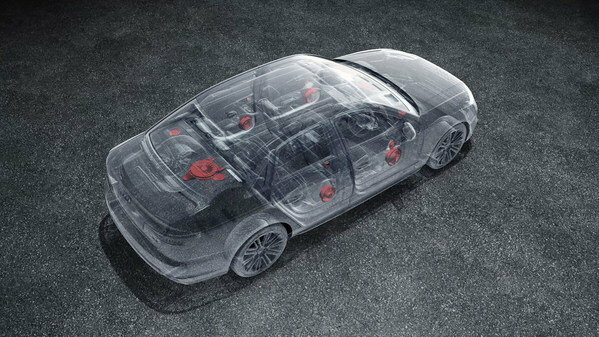 As it turns out, Audi has teamed up with electronic music duo Cazzette and the singer Laleh to create a song that takes full advantage of the Bang and Olufsen 3D audio system. The song is named Blue Sky was adjusted and mixed specifically for the 19-speaker system in the A4. 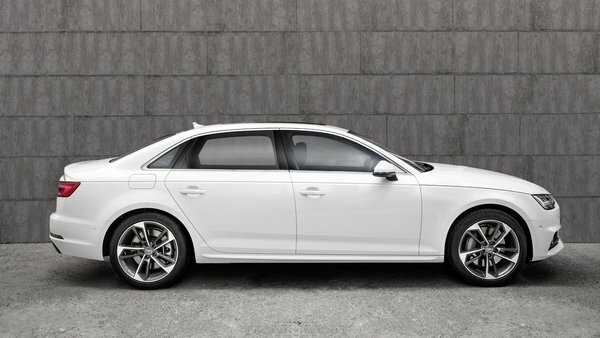 It will make its official debut on May 23rd in the Audi A4 at dealerships all across Sweden, and will be released to the public on June 3rd. According to the video, the people behind the song were able to give the sound a third level by using a specific algorithm co-developed with the Fraunhofer Institute for Integrated Circuits. These algorithms are said to add a vertical level to the audio, creating a feeling of height that hasn’t been heard before. For now, you can click play on the video to see a little background about it before it makes its official debut.